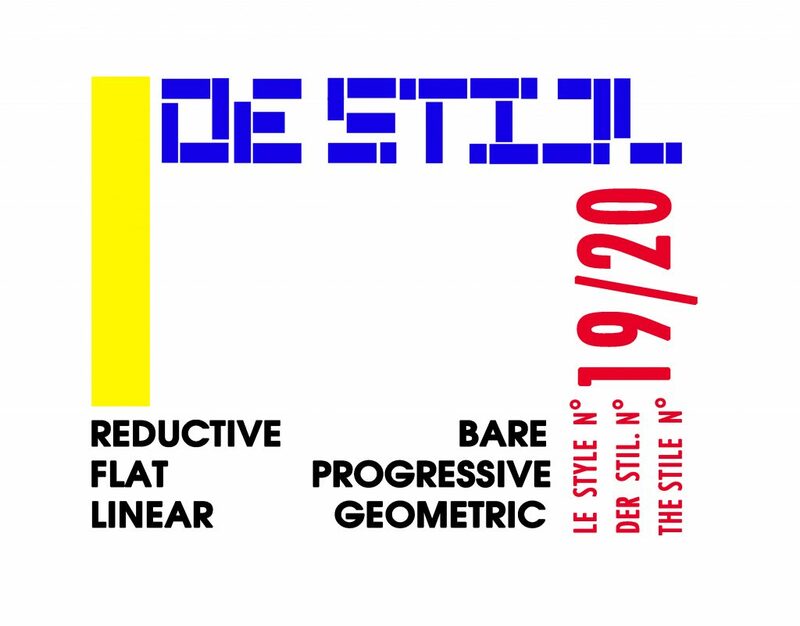 De Stijl; reductive, bare, flat, progressive, linear, geometric. The six words I chose to describe De Stijl are: reductive, bare, flat, progressive, linear, and geometric. Reductive- The movement was all about reducing images and objects to their core elements, to simple geometric forms and primary colours (Eskilson 183). Artists sought to get to the essential root of the object and presented them as plainly, or in their view, as universal as possible. Bare- De Stijl makes use of negative space, it is never busy; works strategically use the space and make the most of it, often leaving large expanses of blank space as well. They leave this space in hopes of adhering to the golden ratio and such, to achieve this utopian composition. Flat- Pieces are often devoid of any sense of depth, save for a few where different layers or dimensions are implied by overlapping. For the most part, works are very two-dimensional and seem like they are just shapes on a flat plane, there is no three dimensionality; they are like abstract cartoons. Progressive- De Stijl artists hoped for this new utopia after WW1 and expressed their wishes through their art. They wanted to achieve this ‘universal harmony’ as shown through their art wherein subjects are shown in their most basic (aka universal) state (179). They wished to unite people as we all have the same foundational experiences; universality through completely abstraction. Linear- For the most part, De Stijl uses only straight precise lines; they seem machine-like and impersonal, which makes sense as they did appreciate the ‘modern machine world’. In the earlier works, all the lines are as straight as an arrow but later on, once influenced by Dada we do see some curved lines and rounded shapes. Geometric- De Stijl compositions are made almost entirely of geometric shapes. 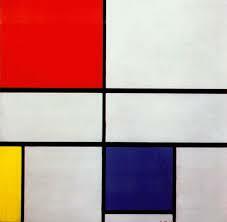 Early on, or in Mondrian’s opinion, they should only be rectilinear, but other artists took more liberties. But ‘decorations’ would often take form of shapes arranged in a particular manner, or the composition would be solely composed of shapes. My design is based off two covers from the De Stijl publication that was used to spread and circulate the movement (Henkels). The movement did evolve and change throughout its lifetime and quite drastically, however it still kept the same beliefs. In its fourth year of publication, it switched formats and orientations; it went from the cover pictured in Figure 1 to the cover shown in Figure 2. They abandoned the woodcut blocks and instead opted for a more stark composition that relied more on the text. For my design, I wished to meld the two halves of De Stijl into one image. I took the two covers from the two different periods, picked the essential elements, and then meshed it all together. I kept the fact that the text was contained in these exact rectangles as well as making use of the negative space. The rectilinear shape of the composition is present; however, the elements lie to the side of the implied rectangle like in the 1921 cover compared to filling in the shape like in the 1919 cover. As for the type faces I chose the title to be similar to the type used in the earlier cover by forming the letters from rectangles and squares and making each character occupy the same space. As for the other typefaces, I opted for a sans serif, modern, grotesque, typeface, like those found on the 1921 cover. Although the journal opted for a more limited colour palette I took inspiration from Bart van der Leck’s salad oil advertisement and used all three primary colours plus black. I do note that the composition does not really resemble the well-known Mondrian paintings, but this is because the graphic design of De Stijl differed greatly from its fine art and architecture pieces. The publications had very different looks but expressed the same ideas and concepts as other works, it simply communicated it differently. 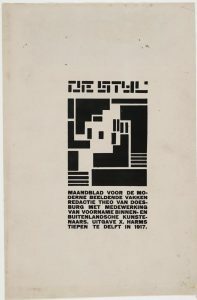 Figure 1: Vilmos Huszar, De Stijl, 1917. Art journal. Artstor. 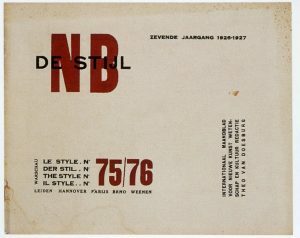 Theo van Doesburg, NB De Stijl, 1921. Art Journal. Artstor. Doesburg, Theo van, NB De Stijl, 1921. Art Journal. Artstor. Eskilson, Stephen J. Graphic Design; A New History. 2nd ed., Yale University Press, 2012, pp. 179-83. 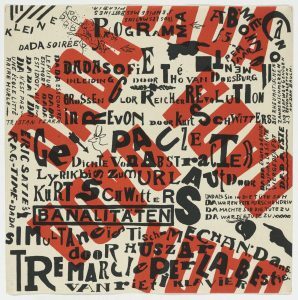 The words I chose to describe the Dada movement in this poster are: collage, subversive, absurd, radical, handmade, and critical, and was inspired by Theo Van Doesburg & Kurt Schitters’ 1922 piece titled Kleine Dada Soiree. 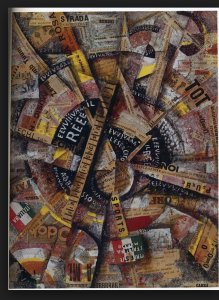 Pieces created part of the Dada movement sought to break free from art in its traditional form, and to comment on the damage caused by the first World War in the most radical fashion possible. Posters never adhered to a particular formula, but instead strove to communicate their messages in an absurd fashion by way of mismatched elements as well as using various collage techniques such as photomontage. 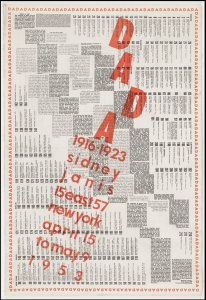 Starting in Switzerland, Dada spread throughout Europe and into North America and successfully allowed art to become a means of protest, as well as expressionism through subconscious meaning. The “readymade” sculptures of the Dada movement such as Marcel Duchamp’s Fountain (1917), were composed purely of pre-manufactured objects and sought to communicate a radical point of view and to comment on a particular issue that an artist would be protesting against. Kleine Dada Soiree (1922) Theo Van Doesburg, Kurt Schitters. 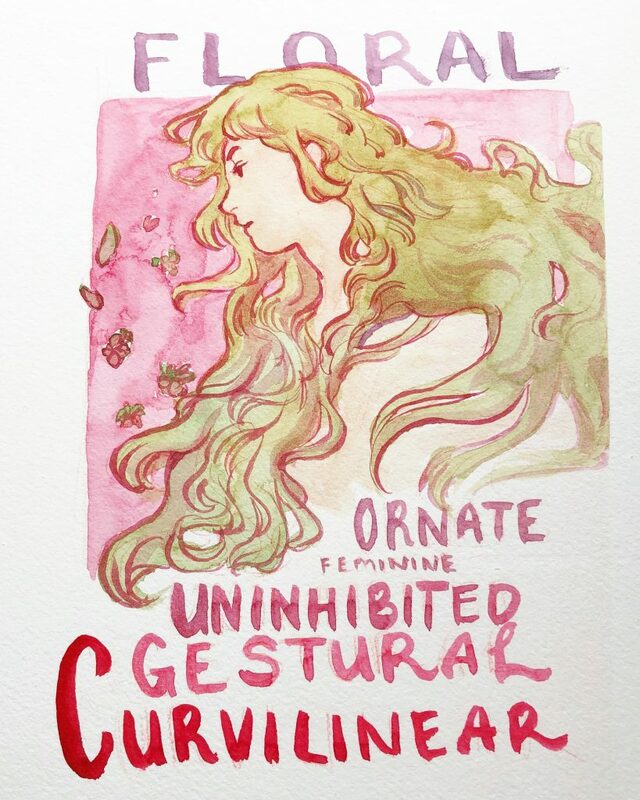 My six words to describe Art Nouveau are: floral, ornate, feminine, uninhibited, gestural, and curvilinear. I designed this poster in the style of Alphonse Mucha’s posters for Salon De Cent, the art exhibition in Paris. Focusing on the graphic nature of his posterwork and text-image integration, I imitated the overlapping elements and curved lines of Mucha’s works. The Art Nouveau style largely incorporated floral elements in its design, being interested in the natural world and exploring its forms. Similarly, it uses lots of detail and a certain exquisite ornateness to fill the design with its usually female subjects, which were depicted as both anonymous and incredibly beautiful. It was uninhibited and free in design, which was a reaction against the strict rules of art being taught institutionally at the time, and had a focus on movement through its large, flowing curvilinear lines. 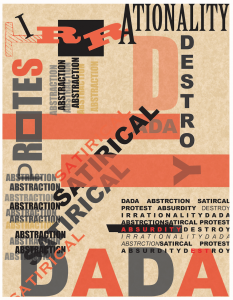 My poster uses these words in a variety of ways to emphasize the themes of the Dada movement. Varying directions of different type sizes, typefaces and colours criss cross throughout the composition causing confusion and chaos, the nature of which could be seen as ABSURD or IRRATIONAL by those who who exposed to it. The use of limited graphic elements such as lines and boxes create a slight sense of structure that is DESTROYED by the text and letters used. Overlapping and paragraph like structures also add to this effect as they are similar to other design conventions of the time but the distortion and misalignment of them help emphasize the protest of accepted norms of society paralleling the movements goal of protesting societal norms. Simple colours seen throughout research into the movement were used to help the overall aesthetic. All together I believe these words and their composition do a solid job of representing the themes and goals of the Dada movement while also maintaining aesthetic continuity. Frey, John G. “From Dada to Surrealism.” Parnassus, vol. 8, no. 7, 1936, pp. 12–15. JSTOR, www.jstor.org/stable/771260. Meggs, Philip B, Alston W. Purvis, and Philip B. Meggs. Meggs’ History of Graphic Design. Hoboken, N.J: J. Wiley & Sons, 2006. Print. This is a collage piece inspired by Carlo Carra’s “Interventionist Demonstration (1914). 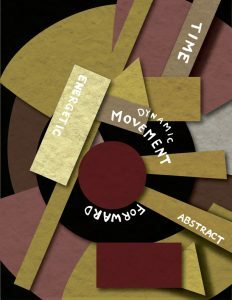 The six words that I choose to demonstrate this futurism are eccentric, movement, forward, abstract, dynamic and speed. This is a collage as we can see pieces of paper glued on top of each other and text were also added. Futurism is reflected on this artwork from the shapes of rounded circle and lines going outside of the circle, almost like a sun or a bright light. Warm and bright colors used for this piece including yellow, red and brown. “Chapter 41 The Era Of Invention Flashcards by ProProfs.” ProProfs, 2009, www.proprofs.com/flashcards/story.php?title=chapter-41-era-invention. Hans Christiansen. (1897). 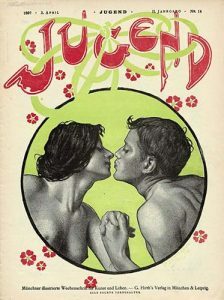 Jugend Magazine, Issue 14 Cover. Art Nouveau, being heavily influenced by the Ukiyo-e movement from Japan, contained the black contour outlines that heightened the dramatic and organic essence of bodies moving in space. Movement was commonly used and focused on, aiming to capture moments in a stylized graphic way, but also being able to reel viewers into an environment through the human touch found in form, setting and medium. 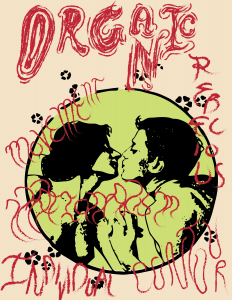 Typography was also heavily used as a way to convey information, using onomatopoeia and personal stylization to make the text a part of the image rather than separate from the image. The movement itself celebrated the cultures and people that existed within it during the era; focusing in on capturing images of modern life that celebrated the individual being able to exist as their own, while simultaneously being able to exist as a part of a nation. 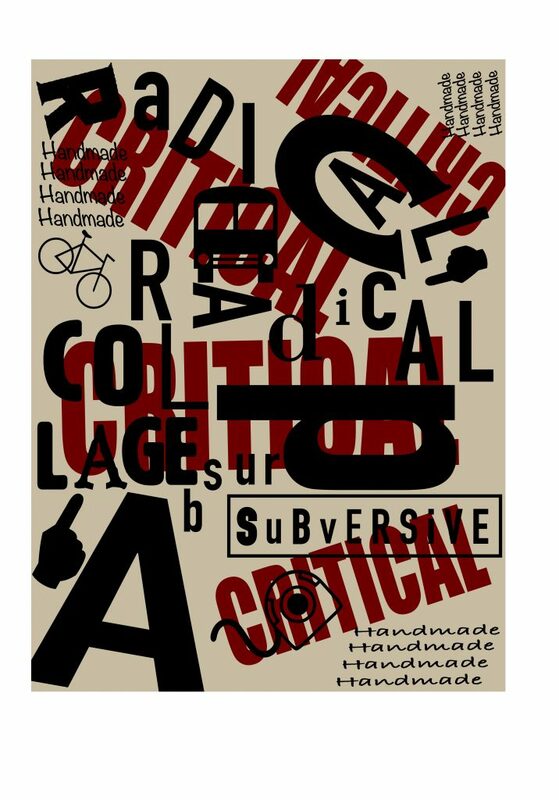 We see a variety of self expression through the designs themselves, artists making their mark known through typographic style, subject focus and the arts purpose itself (e.g. the piece being an commercial or an underground advertisement), but recreating symbols and images to fit the narratives of the modern era. Christiansen, Hans. “Jugend- Art Nouveau Secession Poster Print by Hans Christiansen.” Vienna Secession , 2017, www.theviennasecession.com/product/jugend-art-nouveau-secession-poster-print-by-hans-christiansen/. The De Stijl movement was prominent in early 20th century in the Netherlands. It is best known for its use of geometric basic shapes, primarily squares and rectangles. De Stijl was a new avant garde movement that was largely in response to WWI and evoked expressive emotions of wanting a better society and country. The artworks mainly consisted of primary colours, red, yellow, and blue, along side black and white; creating a very minimalistic composition. 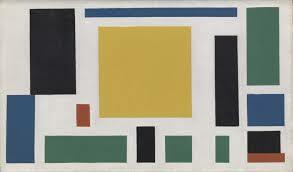 But other blocks of colours were also included (as seen in Doesburg’s work). Notable and famous artists from this movement include Piet Mondrian and Theo van Doesburg. My design used a simple Arial Black font which is sans serif and linear looking. 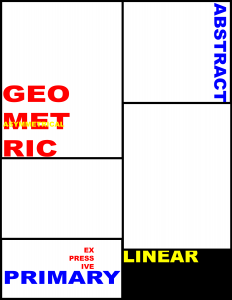 Some of the words i organized in a geometric shape (rectangle or square) to refer to Mondrian’s Composition II, while others were less evenly cut words inspired by van Doesburg’s VIII (where the rectangles are not all the same dimensions and scattered around the composition). Only primary colours were used for the text since many compositions of this movement included them (although not always). 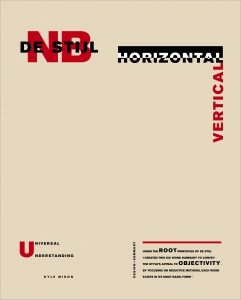 The text is placed either horizontally or vertically which references the heavy use of line in De Stijl art. De Stijl’s asymmetry is represented in my piece as well in the form of uneven displacement of the rectangles and asymmetrical placement of words. “Composition II, 1935 by Piet Mondrian.” Composition II in Red, Blue, and Yellow, 1930 by Piet Mondrian, www.piet-mondrian.org/composition-c.jsp. Doesburg, Theo van, and Christian Emil Marie Küpper. “Theo Van Doesburg (Christian Emil Marie Küpper). Composition VIII (The Cow). c. 1918 | MoMA.” Lee Bontecou. Untitled. 1959 | MoMA, www.moma.org/collection/works/79189. Paragraph summary included in work. 1921 and no. 8, 1922. 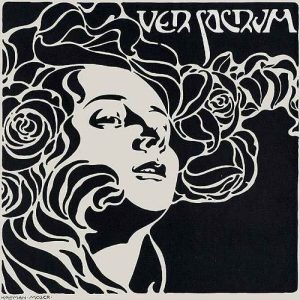 This work was created by Koloman Moser for Ver Sacrum the official magazine of the Vienna Secession. Published from 1898 to 1903. This cover was produced for Vol.2, Issue 4 1899. The odd square format measuring 29.5 cm by 28.2 cm. It is a simple print of a female-looking face, her hair appears to be made of flowers/containing flowers. The face is produced using flat planes suggesting influence from traditional Japanese block prints. The successionists were big fans of Japanese artwork and it shows in a lot of their work and throughout the features within the magazine. This design really caught my eye as I was flipping through the textbook. I was pulled in by the heavy use of black. I think I was also drawn in by the woodcut type of look it has, a medium I have recently been trying to get into.